This sign is 28″ round and is light green, and red. There is white text and black detailing. 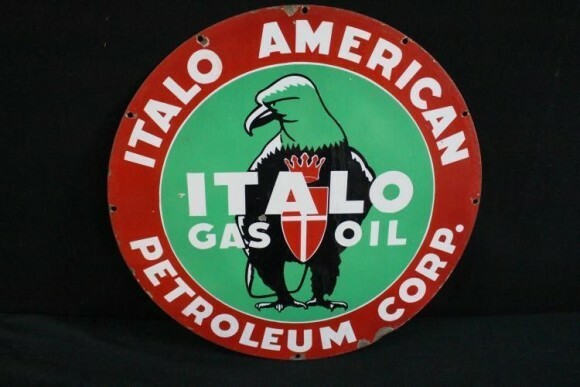 The sign reads “Italo-American Petroleum Corp. Italo Gas Oil.” There is an eagle in the center.